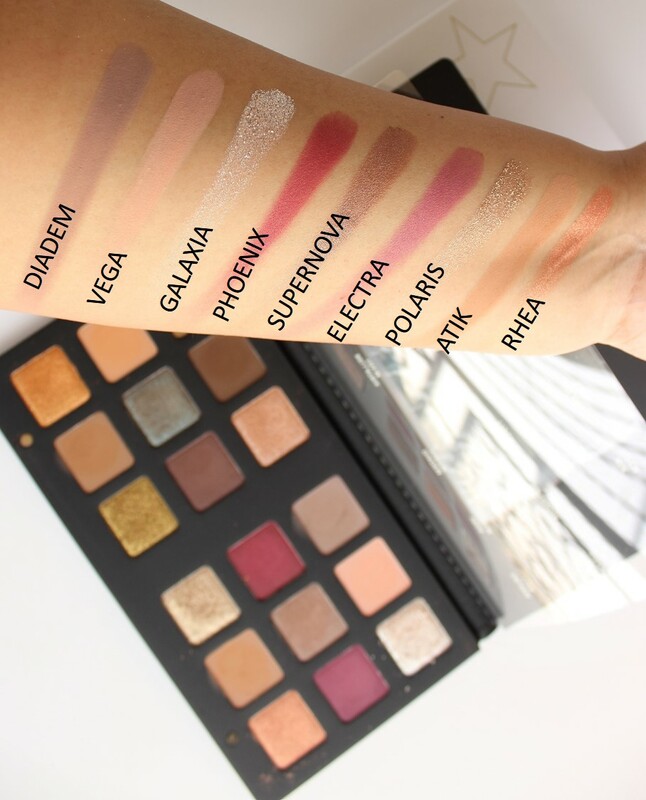 I am huge fan of Natasha Denona eye shadows ever since I tried here 5 eye shadows' palettes (see here). So, when I received an email from Beautylish for early access, I immediately registered for it and bought it on the date of launch. I had to have it, gurl. Thanks to Beautylish for providing me with early access and delivering it safe and sound in straight 4 days (one of my fav shopping website). - 2 Duo Chromes (Orion and Supernova). Visit Temptalia's post here for a description of each shade in the palette. This palette is magnificent and all the shadows are very smooth and buttery - and hence, I guess, a lot of fallout - especially from the shadows in Crystal formula. It has a very wide range of shades from neutral blending shades to some popping crease shades such as Phoenix and Electra and smokier shades, Earth and Gemma. I really miss a good browbone/ inner corner highlight shade, a bone color shadow and a black shadow (which I think is a mandatory shade in any palette). Nonetheless, this doesn't take away the glory of this palette. The packaging of this palette is so on point - faux leather metallic cover with a decent size mirror inside. This palette costed me a bomb, USD 224.00 (including duties and taxes). A closer look at each side of the palette. Crystal formula crumbles a bit when swatched and has chunky sparkle but very smooth and don't feel gritty. Best applied with finger and over a sticky base (like Too Faced Glitter Glue) and I get a more metallic finish than crystal/ glittery finish. Creamy mattes are awesome and blend effortlessly. 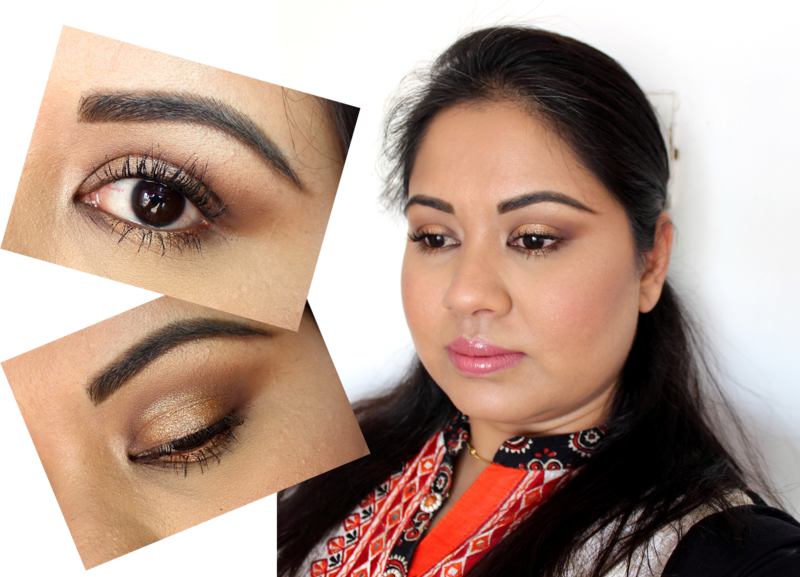 Metallic shades are bang on pigmented and VERY metallic. Applies equally well with fingers and brush. For more impact and shine use wet. Duo-chrome shadow - IMO - are pretty but easily dupable, especially Orion (a blue-brown shadow which is available in many palettes and as lose pigment). There are endless possibilities with this palette. 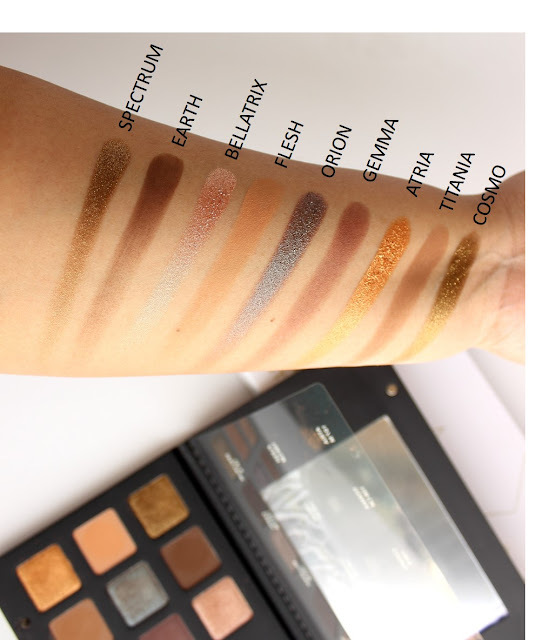 And, hance, it wouldn't have been justified if I had done only one look using this palette considering such wide range of finish these eye shadow palette has. For the first look I decided to try spotlight placement of eye shadows (and failed miserably) using shades Flesh, Titania, Earth, Atria and Bellatrix. 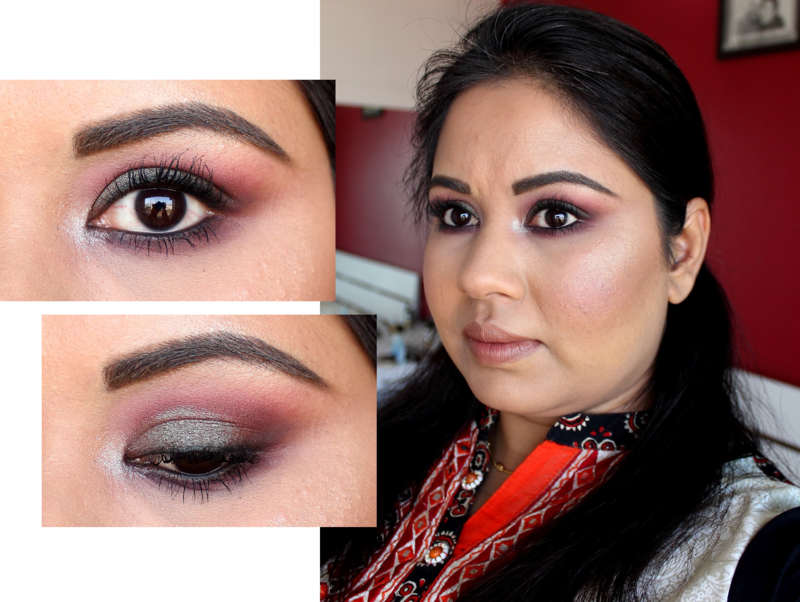 For the second look I went all out smokey using the most obvious choice - Orion (blue-brown duo chrome) as the focal shade paired with Phoenix & Gemma in the crease and Galaxia in the inner corner. 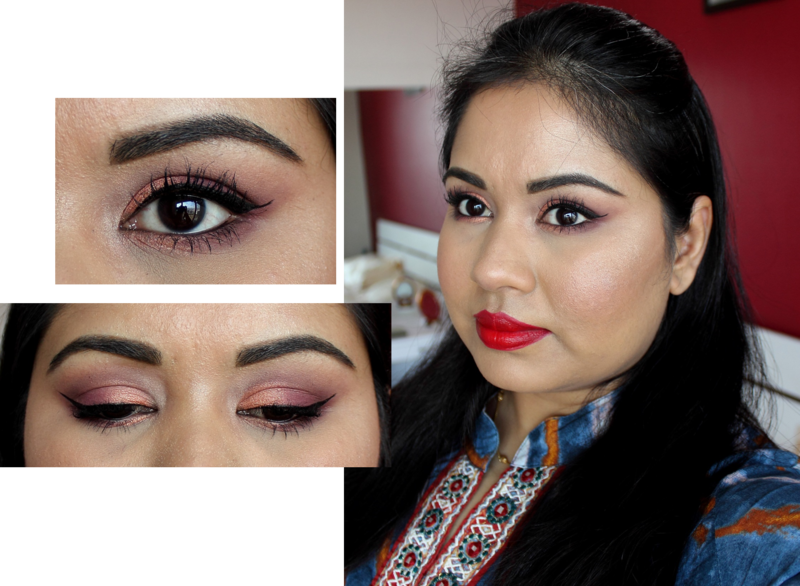 This post wouldn't have been complete without a look with winged liner and red lips. I used Rhea as the main shade, paired with Electra on the lid, Gemma for defining the crease and Vega to blend. Overall, I would say this is not an everyday easy to slap on eye shadow palette. A special occasion palette when I am really in the mood to sit down and spend time on make-up. A fantastic palette for all make-up aficionados and for those who always like some sorta bling in their makeup. Hope this post was somewhat helpful and a liked the looks I created using this palette! Such a lovely palette. Liked it too much. you look so cute.